Energy underwriting program: federal subsidy attracts no solar generation. The Federal Government has received 66 applications for its new energy underwriting program. However, none of the applications were for wind or solar power. Flagged in December last year, the Underwriting New Generation Investments program aims to encourage more competition in the energy market and bring electricity prices down. It will do this by underwriting returns for newly-built sources of electricity generation, thereby reducing the risk for investors. If an agreed electricity “floor price” drops below a trigger point, the federal government will cover the shortfall. Applications to the program closed last week. Energy Minister Angus Taylor says they include “a balanced mix of sources of generation including coal, gas and hydro”. 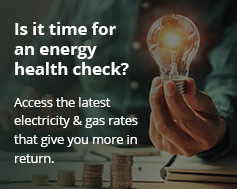 The energy underwriting program was announced following an Australian Competition and Consumer Commission (ACCC) report in June 2018. Federal government underwriting program attracts $6 billion coal plant application. The report found competition in the wholesale energy market was “not working as well as it could” and had affected electricity affordability. The ACCC identified obstacles to investment in new energy generation. These included a lack of certainty in being able to recover the cost of investment in the long term. The ACCC recommended using offtake arrangements. These guarantee a minimum fixed price beyond short-term contracting periods, for example years six to fifteen. The government says the energy underwriting program is “technology neutral” and will not preference any type of generation over another. However, the Australian Industry Group warns it could leave taxpayers exposed to liabilities “with a net present value of billions of dollars”. It claims this is because the government could indemnify projects against the costs of new climate change policies that favoured non-fossil fuels. Energy underwriting program – no solar? Although details of individual applications have not been released, it’s known that at least one supports new coal-fired generation. Energy entrepreneur Trevor St Baker told The Australian of his $6 billion plan for two coal-fired power stations in Victoria. The Federal Labor Party has indicated it will not support the government’s energy underwriting program indemnifying coal plants against any future risks.